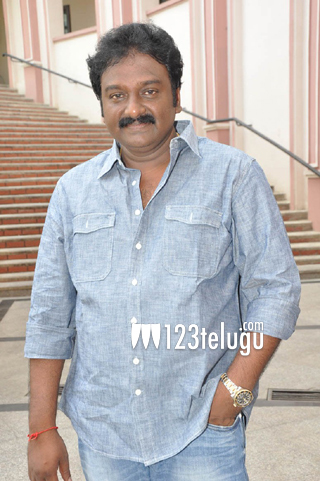 V V Vinayak is a busy man these days. He is promoting his latest flick Alludu Seenu big time, and is all praise for the debutante hero Bellamkonda Srinivas. We caught up with him for a brief chit chat. Let’s see what he has to say. Q) Did you feel any risk in launching a new hero ? I never felt so. When Bellamkonda Srinivas asked me if I would launch his son, I was more than happy to take up the responsibility. Q) Did you face any problems working with a debutante ? Initially, during the first two days, I had a few doubts, but after watching him perform, I grew in confidence. Srinivas was already trained in every department, and went about his performance in a matured way. You will never feel that you are seeing a new hero while watching Alludu Seenu. Q) Why did you select Alludu Seenu as the title ? My hero in the film is an orphan. Prakahs Raj helps him and brings him up in life. He always calls him Alludu in the movie, so we went ahead with the title. Q) You have always been associated with huge action entertainers. How different is this film ? Alludu Seenu is a total fun film right from the start. It has all the regular commercial elements, and my kind of action during the climax. Q) Have you watched the final cut. How has the movie come out ? Not only me, but my entire unit and also Bellamkonda family have watched the film. They are extremely happy with the result and are eagerly waiting for the film’s release. Q) How is Chiranjeevi’s 150th film shaping up. Are you directing it ? There are many chances that I may direct the film. As of now, only story discussions are going on, and only Chiranjeevi garu will decide on other major details.